So when did the Super G become an FIS event? Lyndall Heyer was the first with the correct answer and then used her impressive connections to research the details associated with the creation of Super G! So Lyndall should get co-author credit for this week’s column. Lyndall contacted Ken Read who won ten World Cup downhills and was part of the “Crazy Canucks.” Ken also was head of Alpine Canada with responsibility for the Canadian Ski Team from 2002-2008. 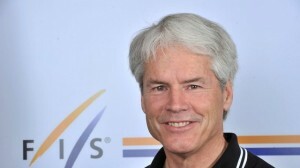 Ken says the first official FIS Super G for men was held December 1982 in Val D’Isere and was won by Peter Muller. The first women’s Super G was in January 1983 at Verbier and was won by Irene Epple with U.S. skier Tamara McKinney in third. The following day the women raced a second Super G and Cindy Nelson of the U.S. won it! Pete Davis also had the correct answer identifying the Val D’Isere race as the first official FIS Super G.
Lyndall reached out to Tamara McKinney concerning the origins of the Super G. Tamara believes it had been the idea of World Cup racer Andreas Wenzel. Tamara remembers racing in an exhibition Super G in Sestriere the season before it became an official event. Since it was an exhibition, she and fellow U.S. Ski Team member Abbi Fisher raced with bathing suits over their speed suits. Maybe that’s where Julia Mancuso got her idea for her outfit on her recent retirement run! 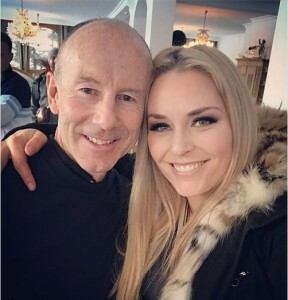 So next Lyndall reached out to Andreas Wenzel – I told you she has impressive connections! Andreas responded: “In these years the giant slaloms were set very narrow and I told Serge Lang (founder of the FIS World Cup) that we need a discipline with longer and wider turns.” Plus there was a perceived need to balance the speed and technical events. With skiing becoming more specialized, speed skiers were at a disadvantage in the overall World Cup results. So with the addition of Super G there would be two speed events and two technical events. One of those reasons for making the overall World Cup more balanced was named Ingemar Stenmark! Ingemar Stenmark grew up in Tarnaby, Sweden not far from the town’s small ski area. This proximity led to him choosing alpine skiing over Nordic which Swedes are better known for. A good athlete, he became a successful racer at the local level catching the attention of Swedish national team coaches. He made his World Cup debut in 1973 at age 17. In 1974 at Madonna di Campiglio, Italy, Stenmark won his first World Cup race. It was a slalom and he won it with an amazing second run that moved him up from 22nd place to first! Later, he would say that this race showed him he belonged on the World Cup circuit. One fortuitous thing that helped shape Stenmark’s success was the naming of Ermano Nogler as the Swedish national team coach. Nogler had been the coach of the successful Italian team with skiers like Gustavo Thoeni and Piero Gros. However Nogler and the Italian team parted company and he landed in Sweden. Nogler preached the value of the pure carved turn as the desired racing form. 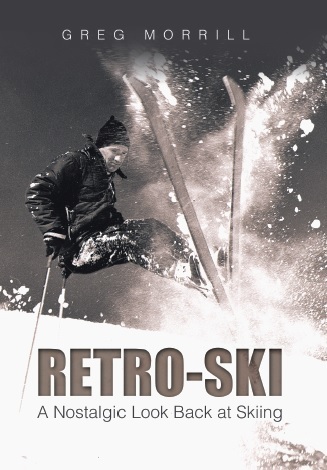 This required timing and body mechanics to allow the skis to be away from the body. Today all top slalom and GS skiers demonstrate this form with Mikaela Shiffrin probably the best example. But it was new in the 1970s and Stenmark was its best disciple. Stenmark would win the 1976 overall World Cup at the age of 20. He won it again in 1977, and 1978! Changes in the World Cup scoring for the 1979 season meant that Stenmark didn’t win the overall despite setting the record for 13 World Cup victories that season! That record has since been matched on the men’s side, but not beaten. Only Vreni Schneider has beaten Stenmark’s record with 14 victories in a season. Stenmark was a slalom and GS specialist who did not race speed events. The scoring change limited how many World Cup points you could accumulate in one event. That gave racers who did race downhill and eventually Super G a better chance against Stenmark. On the Olympic scene, Stenmark won a bronze at the 1976 Olympics. 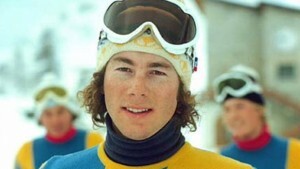 He then won gold in both the slalom and GS at the Lake Placid 1980 Olympics. Stenmark along with several other big name alpine skiers were banned from the 1984 Olympics for accepting payments that violated the Olympics amateur rules. In his 16 year World Cup career, Stenmark accumulated a record 86 victories. That’s the record Lindsey Vonn is currently chasing. Since Stenmark had a total of 231 World Cup starts, he won 37% of the races he entered. He achieved podium finishes (top three) in two-thirds of the races he started! A few years ago Swedes were surveyed to name the top historical moment they had viewed on TV. The number one response was watching Ingemar Stenmark race!